Ex-F1 driver Mark Webber says Mercedes is no longer functioning as a team following the contact between its drivers at the Belgian Grand Prix. 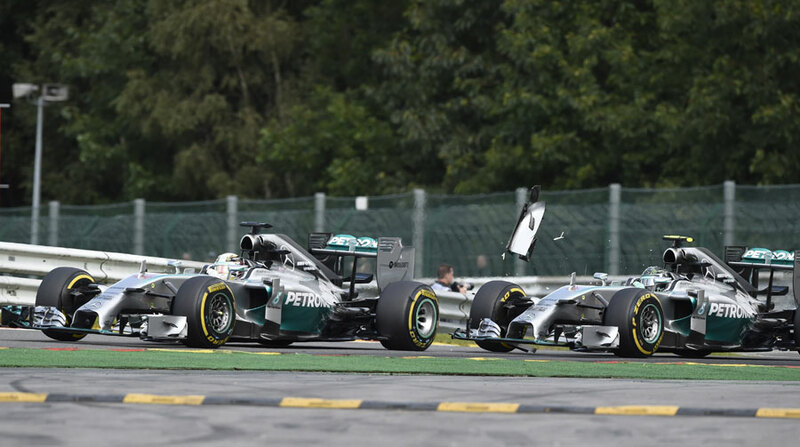 Nico Rosberg collided with Lewis Hamilton on the second lap of the race, ruining his team-mate's grand prix and ultimately limiting Mercedes to 18 points at a track where it had expected to score the maximum 43. Webber was involved in a similar rivalry with Sebastian Vettel at Red Bull in 2010, which led to four years of animosity within the team. He believes the Mercedes drivers are no longer listening to their immediate bosses Toto Wolff and Niki Lauda and may not be able to stay at the team together long-term. "Now we have a very difficult situation at Mercedes where the drivers are not enjoying a good relationship," Webber told the Herald Sun. "It's going to be interesting, not just for the rest of this year but can they drive together in the future? Is it okay for 2015 for the team to have the two guys together? "At the moment it's not a team, it looks like the drivers are doing their own thing." Webber believes it will be tough for both drivers to remain focused at the Italian Grand Prix next week, where Mercedes is expected to be dominant again. "The thing is for the drivers to stay focused on driving the cars now, because for them it's going to be a nightmare. The Thursday, the Friday, all the stuff out of the car, the media ... and this will just keep going up. "Let me tell you, when they get to the track, they'll only be thinking about each other. There's no-one else really in the race. They are really only focused on beating each other, and that's what happens when you have a car that is so dominant. "They are going to win the constructors' easy, so the drivers know that the constructors' is done, so all that's left is the drivers' championship."